Health care and humanitarian workers are increasingly in the crosshairs as hospitals and aid centers have become part of the battlefield in today’s wars. A profound surge of violence in Syria and other conflict zones has around the world has claimed thousands of lives, destroyed regional health systems, triggered mass displacement and state collapse — and exposed an international humanitarian crisis. Join us to learn more about this growing crisis and to discuss possible solutions with an expert panel. Please note: This film contains graphic scenes of war violence. Viewer discretion is advised. 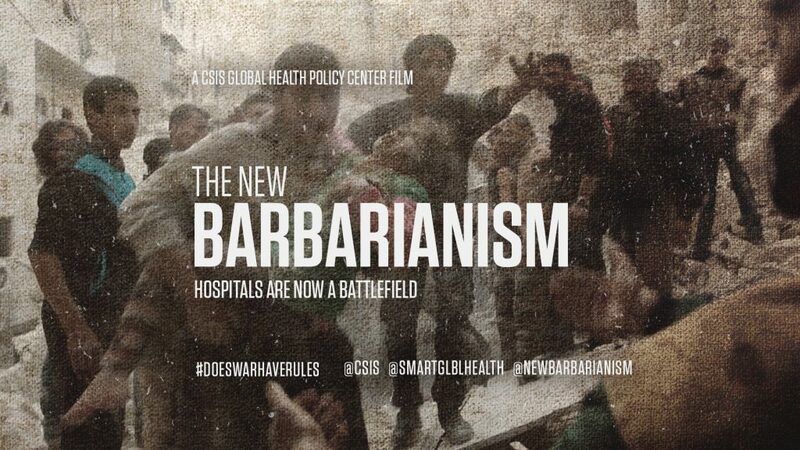 The film is a collaboration between the CSIS Global Health Policy Center and the CSIS Ideas Lab.